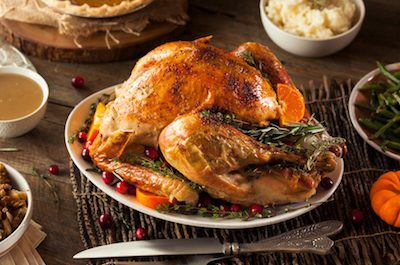 We’re excited to announce that we have beautiful pasture raised heritage turkey this year, including the gorgeous locally raised Heritage Bronze Turkeys that were such a hit last year, as well as classic Large Breasted Whites. Yes, it’s hard to believe, but Thanksgiving is just around the corner. And while it might seem like the holidays snuck up out of nowhere, we’ve been busy working for a couple of months in order to make sure that you and your family have a memorable centerpiece for your Thanksgiving meal. Life she does every year, a close farmer friend of ours down in Burlington, WI is raising a limited number of local pasture raised turkeys, exclusively for Kettle Range. These birds are housed on Lynn’s beautiful Southeastern Wisconsin farm and are provided with unrestricted outdoor access to graze on grass, bugs, and other autumn forages. Humanely raised and antibiotic free, of course. And if you’re watching your budget, we’ve also offering excellent quality, reasonably priced Amish-Mennonite raised Broad Breasted White turkeys from Pennsylvania. These happy and healthy, locally raised turkeys are going to be delicious! Short of time? Looking to try something new? This year we’re offering you a couple of new options. You can have your heritage turkey smoked in our professional smoker. All you need to do is warm it up! Or, if you want to try something new, we’ll spatchcock your turkey for you. Impress your friends and family with an memorable holiday meal. 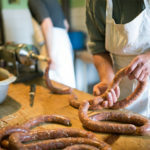 Our House Chef is preparing some savory Bread and Sausage Stuffing made with our mild house made sausage, savory Turkey Gravy, and a few other surprises. We have a limited number of these special birds, so CLICK HERE TO RESERVE YOURS while supplies last. 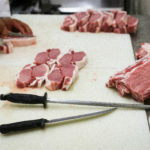 Each month, Buyer's Club members receive a 5lb, 10lb or 16lb selection of our healthiest and most delicious grass fed beef, pork and chicken...always locally raised and free of antibiotics and hormones. If you're already a Buyer's Club member, you don't need to do anything else... we're already packing your May share. But if you haven't signed up for the Kettle Range Buyer's Club, please make sure to do so before the Friday, April 29th cut off date. Buyer's Club is a flexible month-to-month benefit for customers. We bill you once-a-month. Skip a month, or cancel at any time. Shares are available for pick up at convenient locations in Kenosha, Racine, Milwaukee and Madison, or have yours delivered right to your doorstep. Our awesome new sign is up and the doors are unofficially open. Stop in to say hello and pick up some amazing foods to take home for dinner tonight! 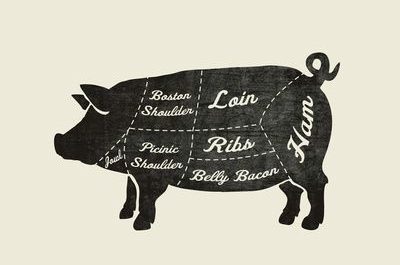 The Easter ham is a Wisconsin tradition, and we’re cooking up a new recipe for our Traditionally Cured Boneless Hams, available only this week and next. And if you would like to try something different, we’ve also brought in some exquisite pastured Shropshire lamb roasts, including shoulders and legs. 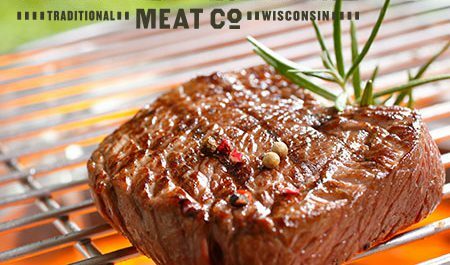 Kettle Range Meat Co., 5501 West State Street, Milwaukee – Pick up any time M-F, 8am to 5pm. Kenosha HarborMarket, Kenosha – Piock up Saturday, March 26th, 9am, to 1pm. *Select “Customer Pick Up” at checkout to avoid additional shipping charges.